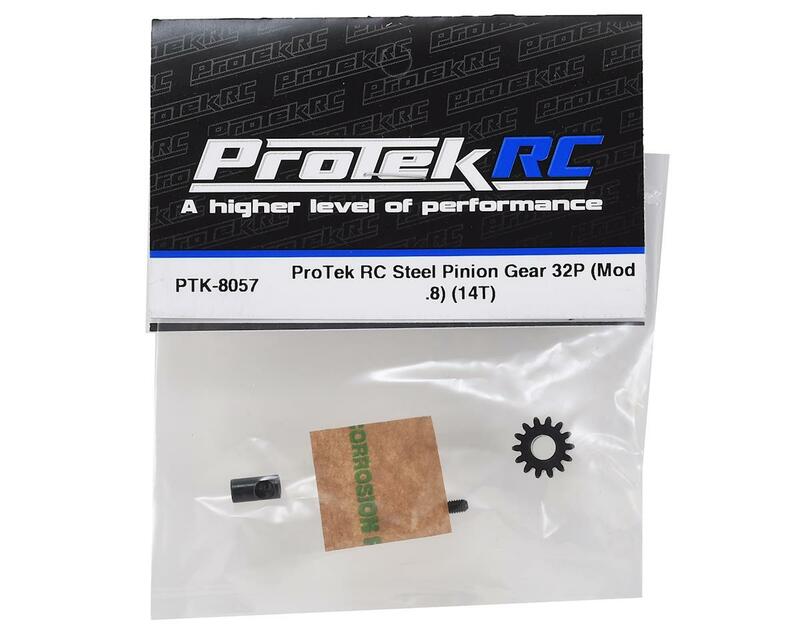 ProTek R/C Steel 32 Pitch Pinion Gears are an affordable pinion gear option that doesn't skimp on quality. CNC machined from hardened steel material, these precision cut gears are durable and are perfect for any 32 pitch application. 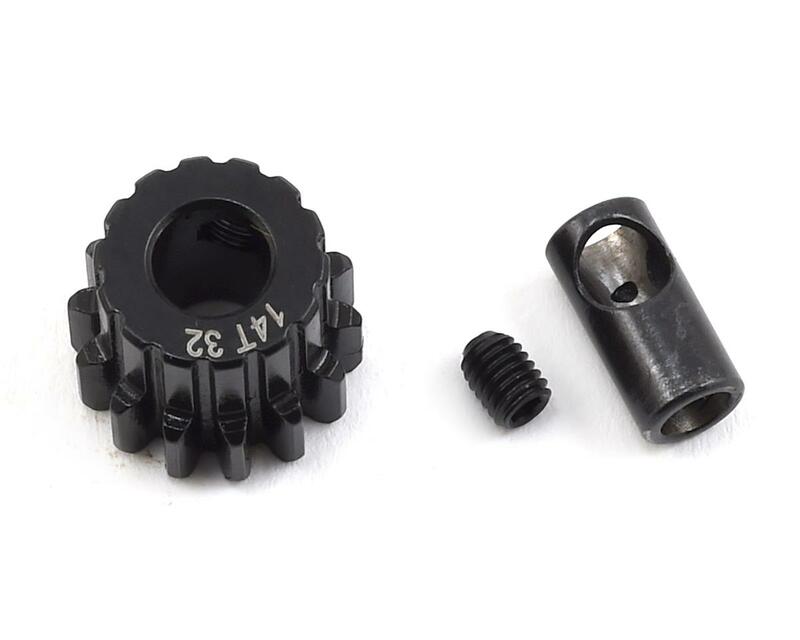 Available in 11 - 20 tooth variants, these gears feature a 5mm bore with an included reducer sleeve that will allow use with standard 3.17mm size motor shafts. The tooth count and tooth pitch is engraved on the gear for easy identification, and each gear includes a setscrew to make installation easy. Choose the tooth count you need from the pull down menu above. Poorly cut. Bought 4 - none of them will mesh at all without chewing up a spur gear. Tried them on a few different spur manufacturer's as well. So I had to try these out. And above review is correct. The mesh is machined poorly. Gears Bind up. 20T doesn't fit without cutting Chassis Brace Set. Be prepared to cut some plastic.